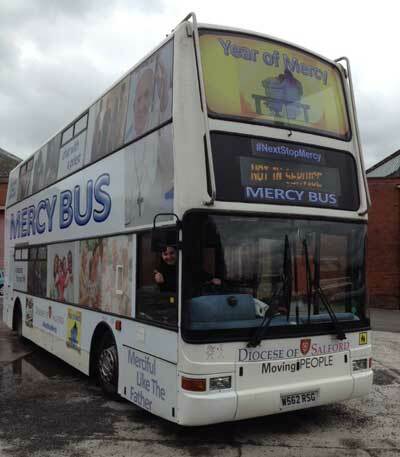 A mobile "confession unit" on board a double-decker bus has begun a tour across Greater Manchester and Lancashire. 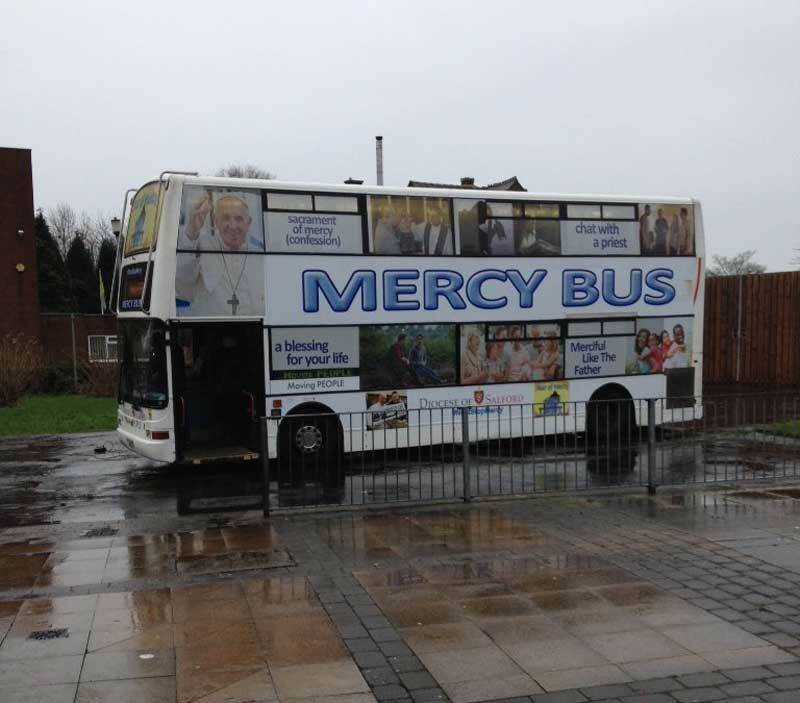 The "Mercy Bus" has been hired by the Roman Catholic Diocese of Salford to reach people who do not go to church. Starting at Salford Shopping Centre, it will also visit shopping centres, prisons, homeless centres and housing estates every Saturday until Easter. 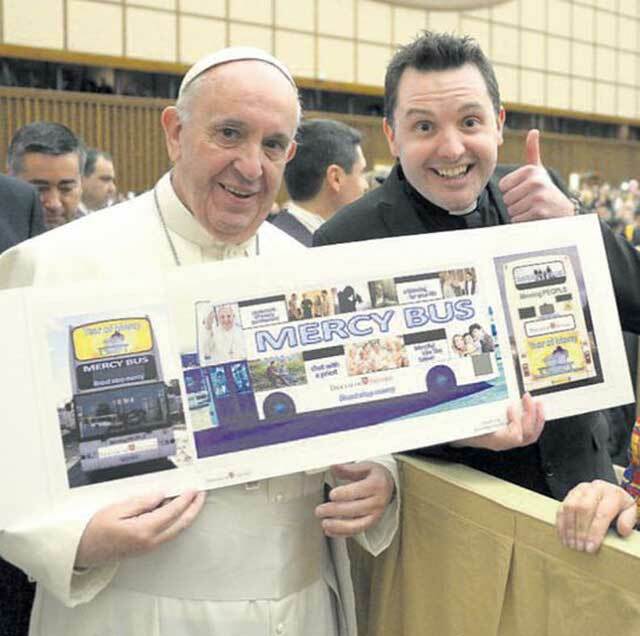 The bus received a Papal blessing recently when one of its priests, Fr Frankie Mulgrew, met the Pope in Rome. "We were inspired by the Pope who, when he was as cardinal in Argentina, would celebrate open-air Masses in the poorest areas of his diocese," said Fr Mulgrew. The bus will also visit Blackburn, Burnley, and Manchester in coming weeks. 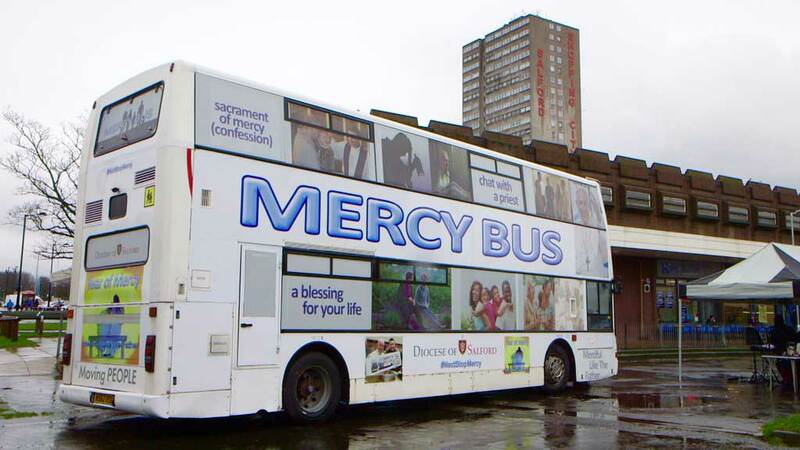 And as story books go, The Gospel According to Harry Potter is far better.